Professor Charles Kelemen played a pivotal role in developing computer science curricula for liberal arts institutions. In 1984, Kelemen arrived on campus to develop a concentration in computer science (CS); by 2001, he had created a department. With a doctorate in math—there were no Ph.D. programs in CS when he began graduate school—Kelemen gained the knowledge to build a CS program at Ithaca College by sitting in on, one-by-one, all of nearby Cornell University’s graduate computing courses. Kelemen has played a pivotal role in formulating computer science curricula specifically for liberal arts institutions and is a founding member of the Liberal Arts Computer Science Consortium. Last year, he received the Distinguished Educator Award from the Association for Computer Machinery (ACM) for his creativity, leadership, and dedication to the field. “Our department is highly regarded in the field of computer science education because of Charles’s work and leadership,” says Tia Newhall, associate professor and chair. 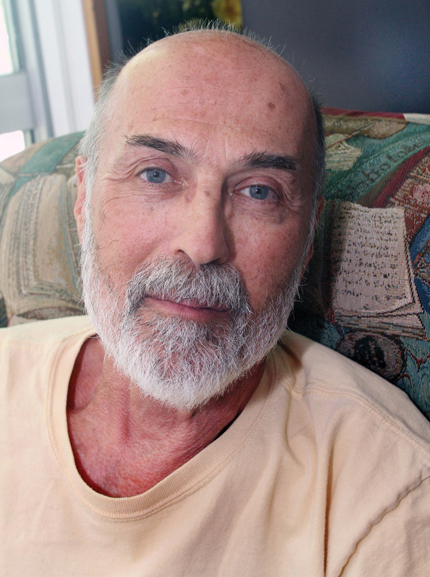 Theory of computation and algorithms have been the focus of Kelemen’s research. In retirement, however, he expects to do “soft-core” research, answering the questions: What is the definition of computer science? What is its core? Leaning back in his chair, warm sun casting shadows across his face, Kelemen says: “This is a place where morale is high; where people feel good about what they’re doing. 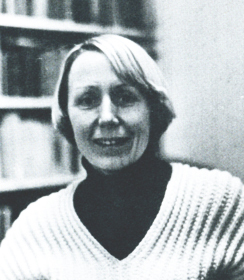 Elke Plaxton, shown in this photo from the 1978 Halcyon, joined the faculty in 1971 as a lecturer in German. Lecturer in German Elke Plaxton has retired after 40 years at the College. Although she declined to be interviewed, colleagues, friends, and students were delighted to reminisce about her. Plaxton often ate lunch in the Theresa Lang Garden of Fragrance with Michael Jones, director of the Language Resource Center. Also retiring from the faculty in June was Robert DuPlessis, the Isaac H. Clothier Professor of History and International Relations. DuPlessis asked the Class of 2011 at its baccalaureate service, “Why do we get dressed up in archaic robes, parade in ordered processions, and listen to lectures—and why do we do all this at Swarthmore, where dress is usually informal, where most people march to their own drummer, and where we pride ourselves on the give and take of discussion?” Watch his answer to this rhetorical question at www.swarthmore.edu/duplessis.xml. 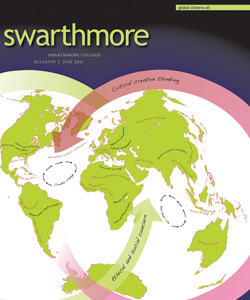 And look for a longer article about DuPlessis’ 38-year career at Swarthmore in the October Bulletin.